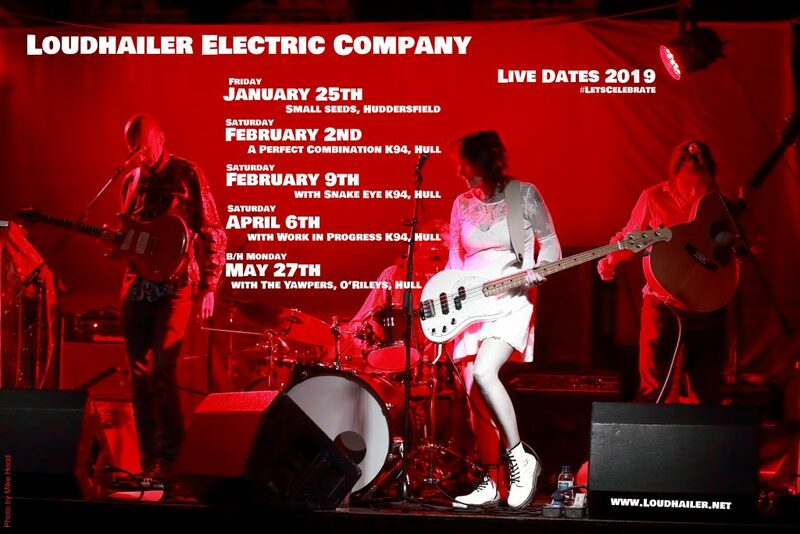 Loudhailer Electric Company have a series of spring gigs before preparing to record their second album for release on the DHM Record Label. Creating original psychedelic guitar laden sounds, songs of road trips, myths & legends and sci fi, the band feature members of seminal cult bands Red Guitars and Dead Fingers Talk. Upcoming gigs will showcase a new set of songs ready for the next album as well as favourites from the band’s debut album Cursus. The shows start with a road trip to Small Seeds in Huddersfield on Friday Jan 25th 8pm free entry followed by a set of Saturday gigs at Hull’s Kardomah 94 – February 2nd amongst a stellar line up for the third Perfect Combination fundraiser for The Stephen Hughes Foundation, February 9th with guests guitar legend Ron Hales and prog rock combo Snake Eye and a special celebration party gig on April 6th with Work In Progress opening the show with a feel good mix of original and Americana favourites, foot stomping bass, mandolin, fiddle and guitar. 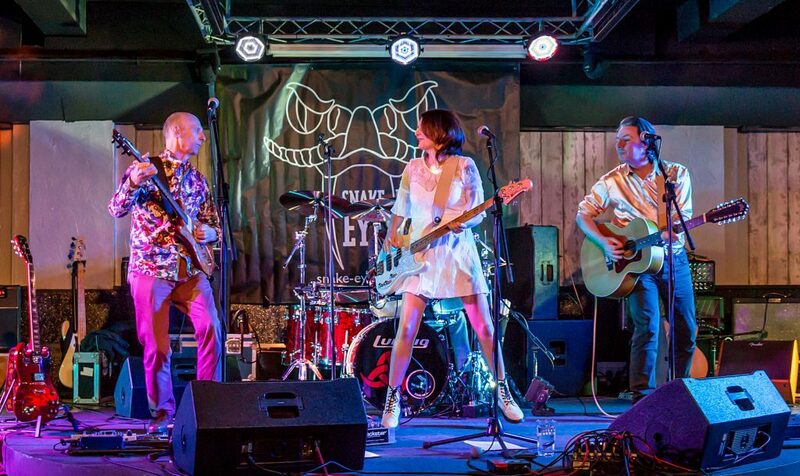 The band’s opening series of spring gigs closes with what promises to be an exciting night opening the show for USA slide guitar delta blues trio The Yawpers at O’Riley’s Hull on May 27th. Songwriter and vocalist Lou Duffy-Howard had Indie chart topping success with influential indie band Red Guitars, best known for No. 1 single Good Technology before releasing two albums on Virgin Records. Guitarist Jeff Parsons pioneered gritty post punk psychedelia with trend setters Dead Fingers Talk whose album was produced by the great David Bowie’s Spiders from Mars guitarist, Mick Ronson. The line-up is completed by guitarist and wordsmith Richard Duffy-Howard and drummer Rich Walker. Doors for all the Hull gigs are 7.30 pm, advance tickets available from Hull Box Office. Be the first to comment on "Loudhailer Electric Company live shows Spring 2019"